Finding cooking boring? Step out of the stereotype….step in straight into this recipe. Delicious delicacy created just for you! Before you begin, whisper for your ears only – “No cooking, no oil”.Pickle with a difference….lime, the prime ingredient here, hogs the limelight. But the thrill lies in experiencing not one or two, but 5 different tastes. While lime rinds render the sour and bitter taste, salt making its statement in style, jaggery melting itself gracefully, leaving no choice but to call it “Oh so sweet” and red chillies spice up to make it savory, together creating a mouth melting medley, calling themselves “Hum Paanch Pickle”! Cut each lime into half. Squeeze out the juice and store it separately. Use it for making “Lime Juice Gojju”. Slice lime rinds into pieces. Keep them in a bowl. Add salt, jaggery and turmeric powder into this bowl. Mix them thoroughly, cover with a lid. Let it marinate for atleast an hour. Fry red chillies in a kadai with just a drop of oil. Let it cool. While lime rind mix is marinating, you can make “Lime Juice Gojju”. After an hour or so, grind the lime rind mix and red chillies coarsely. Now grind it further to desired consistency. (Consistency need not be too fine or smooth). Check the taste and adjust quantities of salt, jaggery and chili powder if required. Transfer the contents to an air tight container. Store it in fridge for longer shelf life. 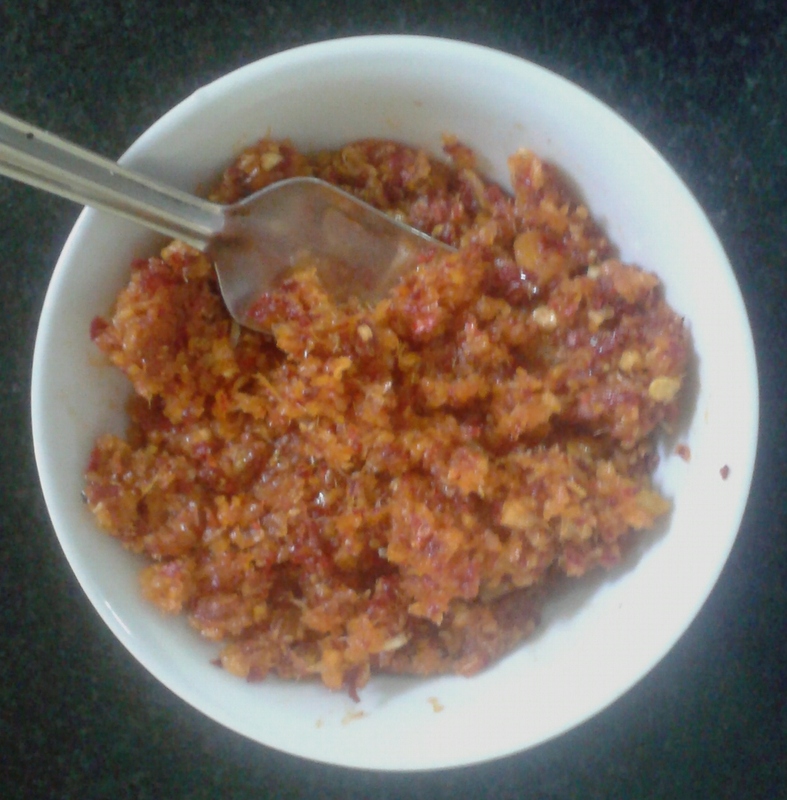 5-Tastes Lime Pickle is now ready for use. Lime juice has not been used in this preparation. However, small quantity of lime juice may be added if wet texture is preferred. This pickle can be used along with hot steaming rice, bread, idli, dosa and chapathis. Throw some citrus peels into the garbage bin regularly to deodorize and keep it smelling fresh.